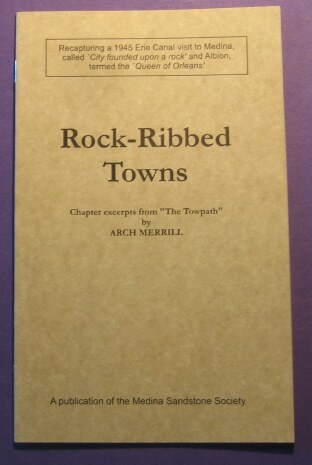 This is a close look at the Villages of Medina and Albion in mid-20th Century as seen through the eyes of Rochester writer, Arch Merrell. The charm of the sandstone era prevailed. Donation toward any of our heritage books makes you an automatic “Stone Cutter” booster for your first year. 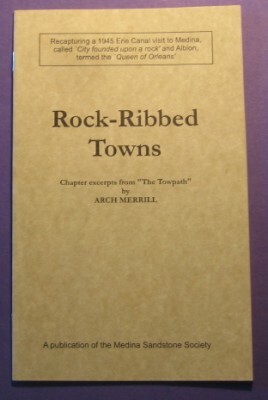 All book purchases and annual donations will help support the civic program of the Sandstone Society and also the growth of the Sandstone Trust endowment.